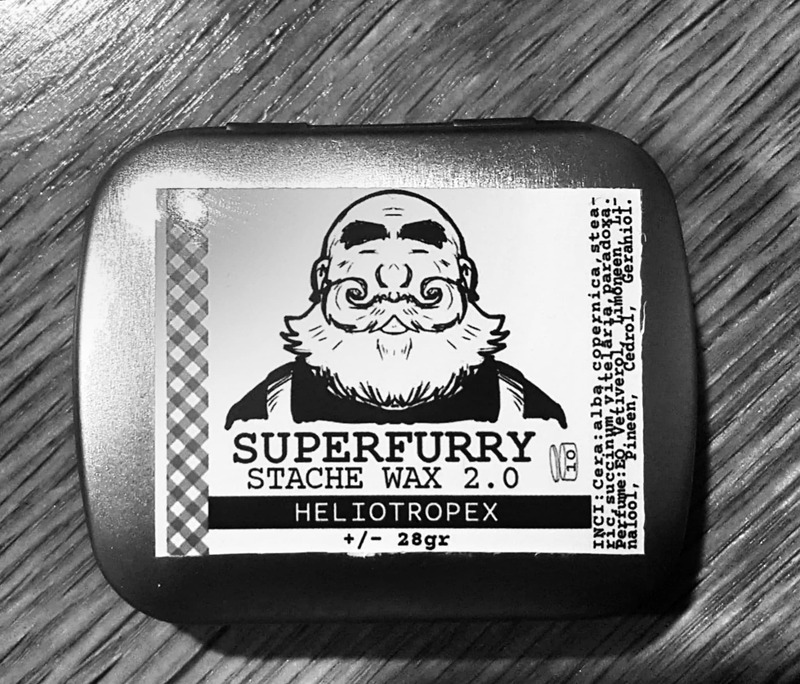 Yes another Superfurry Stache Wax 2.0 and this time it is the soon to be released Heliotropex scent and it without any hesitation gets one of these! Yes the Heliotropex has been available in the Beard Polisher and it sold out quick and so I have no doubt that the same will happen when it is released in the Stache Wax 2.0. Owner and creator of the Superfurry products Ivan doesn’t stick to the usual run of the mill scents that we often see throughout a lot of brands, no he creates his own complex and always amazing scents that are just bloody amazing and the Heliotropex scent is certainly bloody amazing! Sweet, floral, gentle, vanilla and it is very reminiscent of summer! The Superfurry Stache Wax 2.0 is like no other, it is firm but you scrape out some and it is wonderfully sticky and easy to work into your moustache and it keep it in place unless like me you destroy as you fiddle with your tash too much, but I have been resisting and the wax keeps my tash in place all day! Couple that scent, with the firm and sticky wax, throw in the fact that its assessed and approved for sale following all the rules and regs and we have a winner! Superfurry is one of only seven beard care brands that have been awarded the ‘Golden Beard Award’ as a brand and it is no surprise if you have sampled the products. This brand continues to go from strength to strength! The 28gr tin of Heliotropex Stache Wax 2.0 costs €12.50 from the website.